Home / Updates / We are so proud of our friends! We are so proud of our friends! We are lucky to know a lot of heroes, but this past week, two of our biggest heroes hit massive milestones. In the world of big rivers, it's been a great week! 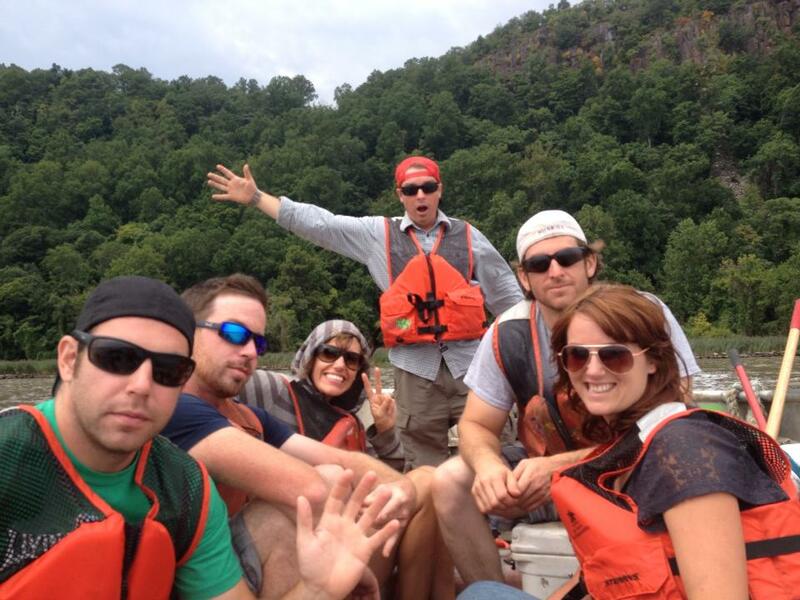 Our deepest congratulations and muddiest river rat hugs go out to Chad Pregracke and Janet Moreland, and here's why. Last week, Chad Pregracke was named the CNN Hero of the Year for his many years of cleaning up our nation's rivers. 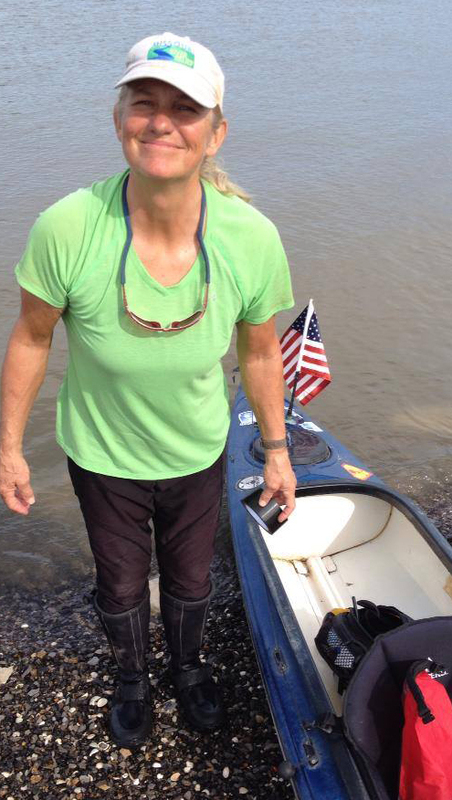 If everything goes according to plan, Janet Moreland will be paddling into the salt water of the Gulf of Mexico today after traveling the length of the Missouri and Mississippi River system from source to sea. She is the first American and the first woman to do this entire journey. In April, Janet Moreland put on skis with her friend, explorer Norman Miller, and traversed up to the site of Brower's Spring, the very source of the Missouri River near the Continental Divide. She bicycled to the Beaverhead River and has been paddling ever since, from the Rocky Mountains through the Great Plains, across the Dakota Reservoirs to the lower Missouri River, from the St. Louis Arch to the Mississippi River shipping channel below New Orleans. It's the "Love Your Big Muddy Expedition". She is the first American and the first woman to do this entire journey. Today, she is paddling the final ten miles of her journey, ending in the Gulf of Mexico. 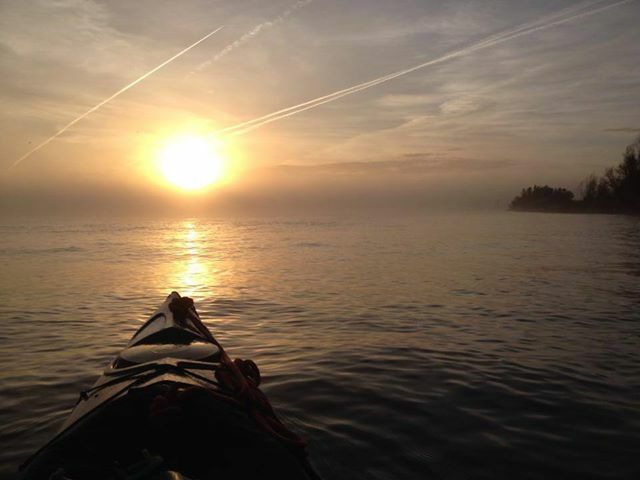 Photo Janet took this morning of her (hopefully) final day paddling on the Mississippi River. All along, she's been sharing her journey adventure-by-adventure with her growing group of Facebook followers. And each day, she proudly wore her Missouri River Relief hat. Check out her Facebook page, then scroll back to see months of fascinating posts and photos. Then leave a post on her page to congratulate her! You have inspired us and enlightened us. Thank you for sharing your amazing journey Janet! Check out Janet's Spot Tracker and see her final few miles. Follow her on Facebook, and read back at her insightful and beautiful posts. Read an interview we did with Janet back in September. Chad Pregracke named CNN Hero of the Year! 10 amazing people were named the 2013 CNN Heroes. People from all over the world doing amazing things to make the world better to live. These 10 were put up for a public vote online. People were allowed to vote once per day for a month and encouraged to share with their friends. Chad Pregracke, the guy who turned a one-man river cleaning operation into a nationwide movement, received the most votes. This win came with a $250,000 prize. Chad's first reaction to winning this award was to immediately give $10,000 to each of the other nine CNN Heroes. "It just seems like the right thing to do," he said. We are so proud of Chad. One of the most important things that Chad has done is to inspire other people to get out and clean up their rivers in their towns. Missouri River Relief is one of those organizations. In 2001, Chad brought his river clean-up barge up the Missouri River to the tiny hamlet of Easley. Several hundred volunteers came to help and that barge was filled with junk from the banks of the river. It was the first Missouri River Relief clean-up, and since then we've removed 1 1/2 million pounds of trash from the Missouri River. Chad and his amazing Living Lands and Waters crew have helped us every year. In 2011, he chartered his towboat and house barge to us (and loaned us the amazing Capt. Mike Hanlin). This gave us the unique opportunity to spend a fall living on the river and cleaning it up, called the Big Muddy Clean Sweep. 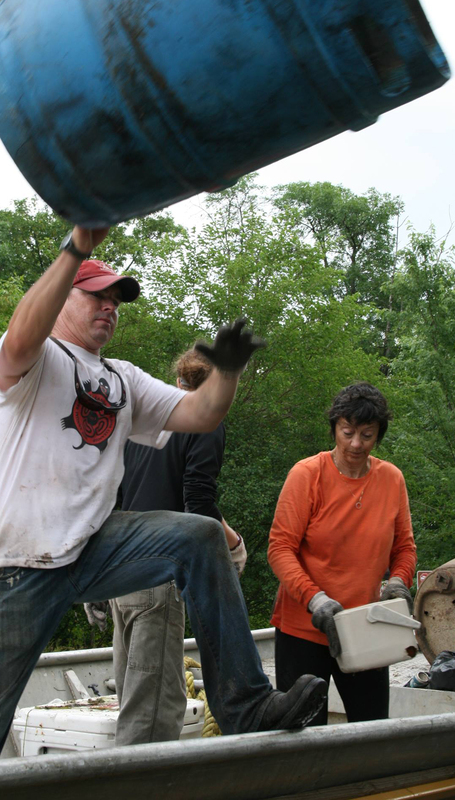 To get a taste of Chad's energy that inspired (and continues to inspire) us, check out this video from the old TV show "Missouri Outdoors" about this first Missouri River Relief clean-up. We have the deepest respect for this man and for the amazing group of people that work for him. Way to go Chad! You totally deserve this! photo courtesy of Living Lands and Waters. Order "From the Bottom Up", Chad's autobiography written by Jeff Barrow. Or you can order a copy by contacting Living Lands and Waters.